For quick and easy California smog check services, Quality Automotive and Smog in Truckee is your first choice in Truckee. For most vehicles, the test takes 30 to 40 minutes while you wait. Enjoy a cup of coffee in the lobby or grab a bite to eat at one of the local cafes on Donner Pass Road. You can always count on a good selection of magazines, free WIFI, and clean restrooms. 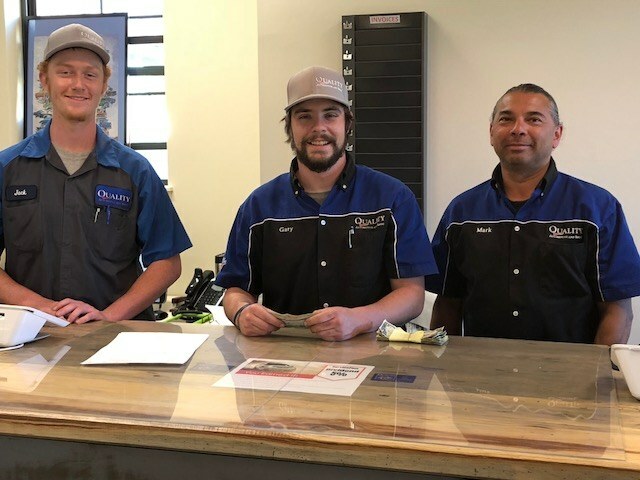 Our team of friendly service advisors will make you feel right at home and are always willing to explain the process to you. Unfortunately, not every smog test is a pass. If your vehicle does not pass the California test, we offer a free retest within 30 days. This will give you time to have the vehicle looked at, repaired and the vehicle computers to reset. At Quality Automotive and Smog in Truckee, we know that it is often inconvenient to come in for a smog test. We encourage our customers to not wait until the last minute to accomplish this DMV requirement. Our staff of service advisors will take off your California smog check Monday through Friday from 8:00 am to 11:30 and 1:00 to 4:30. There is no appointment necessary and the wait is generally 30-40 minutes. Know that the 1:00 time is the busiest for smog checks. “We needed a smog test on a car we keep at a vacation home. Quality was responsive and performed the service promptly. All personnel we came in contact with were professional and courteous. Couldn't have been more helpful.” -- Cindy P.